With contributions from Eric P.
When days get darker and colder, it’s natural to feel a bit under the weather. However, for up to 20 percent of the population, those feelings are much more broad, severe and difficult to ignore. The condition goes by a few names —seasonal affective disorder (SAD), seasonal depression, winter depression — but the effects are the same. Lethargy, excessive sleeping, dulled emotions, anxiety, and appetite changes are among the biggest complaints, and they can last from the beginning of fall until the spring. Instead of succumbing to the gloomy effects of SAD for months on end, take some steps to treat the discomforts. First, figure out what’s at the root of your issue, then work with your doctor and the tools at your disposal to lift your mood and restore your energy. Is It Seasonal Affective Disorder or Something Else? SAD is not really that different from other major forms of depression, except for the pattern it takes. The symptoms hit rather suddenly once autumn turns to winter (or even earlier), and it tends to affect people in places with less winter light. The main difference between SAD and other forms of clinical depression is that SAD symptoms will wane in the spring. Other major depressive disorders are chronic, and the onset of symptoms is generally a lot less predictable. Although certain traits define SAD, this sort of depression can manifest in different ways. Some people may feel mostly lethargic and fatigued, while others might have a wider variety of symptoms, from trouble waking up to trouble concentrating and a sadness that’s difficult to shake. Physical problems, like digestive issues or headaches, are not uncommon. There is a spectrum of severity, and it’s important to address your particular symptoms rather than compare them to a master list of criteria. You may hear people say, “there is no such thing as seasonal affective disorder,” and depending on their knowledge, they might be correct. The American Psychiatric Association (APA) created and maintain a text which lists all current psychological conditions and disorders as well as their symptoms. This book does not include seasonal affective disorder. Instead, this source of information notes “with seasonal pattern” as a specific type of depression and bipolar disorder. So, you can have major depressive disorder with seasonal pattern or bipolar disorder with seasonal pattern, but you cannot have seasonal affective disorder under the current APA guidelines. 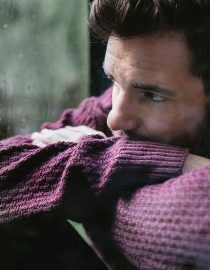 If someone suggests that you or your loved one has SAD, you may want to gather more information about the specific condition to which they are referring. They could be misinformed, confused, or downright wrong about their view of the condition. Remember that proper diagnosis usually results in better treatments. Seek out the informed opinion of mental health professionals who use the most up-to-date information. Show depressive episodes only match the season for the last two years. So, if you had depression in the summer last year, you will not qualify for the seasonal pattern specifier. Have the majority of lifetime depressive episodes during the fall and winter. It’s acceptable if during your teen years depression happened during all seasons, but most depression throughout your life must be during in the winter. The criteria for the seasonal pattern with bipolar disorder is similar with the main difference being the possibility of manic or hypomanic episodes, marked by high energy and poor sleep, during the spring and summer months. It’s also important to account for other factors that influence seasonal mood issues. If someone is usually laid off in the winter, has less money, and higher stress, it would make sense for him to have higher depression during this time of year. It is problematic, but probably not related to depression with a seasonal pattern because of the outside influence. The same is also true if the fall and winter are linked to negative events or anniversaries like traumas or family member deaths. In these situations, feeling more depressed during these times is quite normal and expected, not a seasonal pattern. These issues can be very significant to the person experiencing the symptoms, and they may require professional treatment. Next page: What causes seasonal affective disorder? And ways to manage seasonal affective disorder symptoms.